Georgia Campaign for Access, Reform & Education is a project of the Georgia Taxpayers Alliance, Inc., a project dedicated to the reform of Georgia’s antiquated marijuana laws. 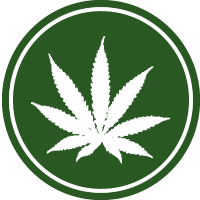 We are a coalition of organizations & individuals who seek to allow medical access, decriminalization and legalization of marijuana (cannabis). We work with the public, media and lawmakers in developing responsible legislation to allow adults legal access to marijuana. We participate in public speaking and attend events promoting our cause. The cost of prohibition in terms of civil liberties, tax dollars and wasted criminal justice resources has been an unnecessary burden on our state. Legislators of the state of Georgia have acknowledged we can no longer afford the current criminal justice policies, and as they seek solutions we need your support in reforming the laws.